Hand #47: Haixia Zhang got a walk in her big blind. 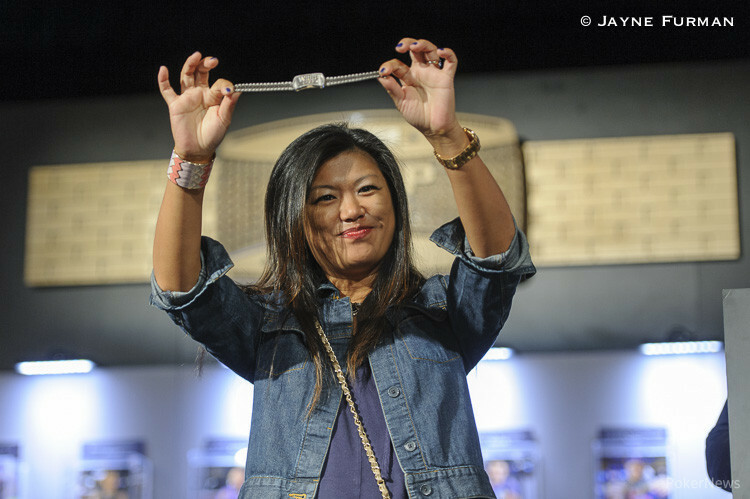 Hand #48: Elizabeth Montizanti open-shoved on the button, Zhang asked for the count in the small blind, Montizanti’s all in was for 111,000, and Zhang made the call. Montizanti was in good shape for the double up until the dealer delivered a flop of . 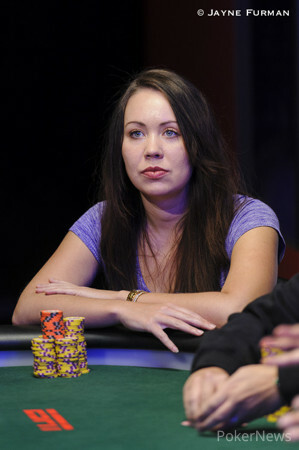 Zhang had hit her ace and after the turn and river -- -- Montizanti was busted in fourth place.